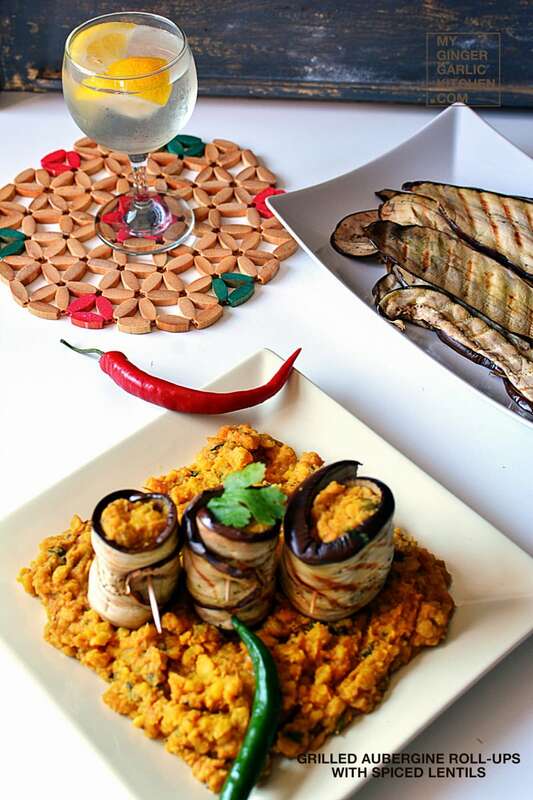 What is Grilled Aubergine Roll-Ups with Spiced Lentils? 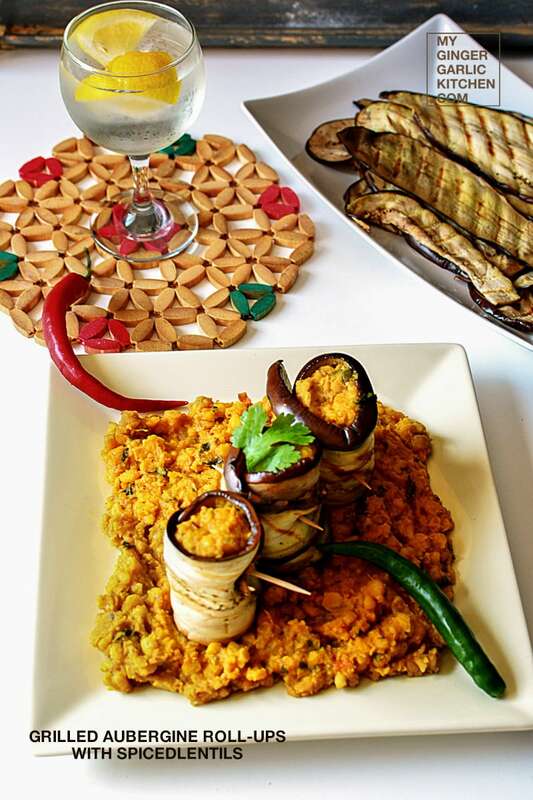 Grilled Aubergine Roll-Ups with Spiced Lentils is a spicy dish for dinner, which is alluring, highly fibrous, and a meal packed with iron. 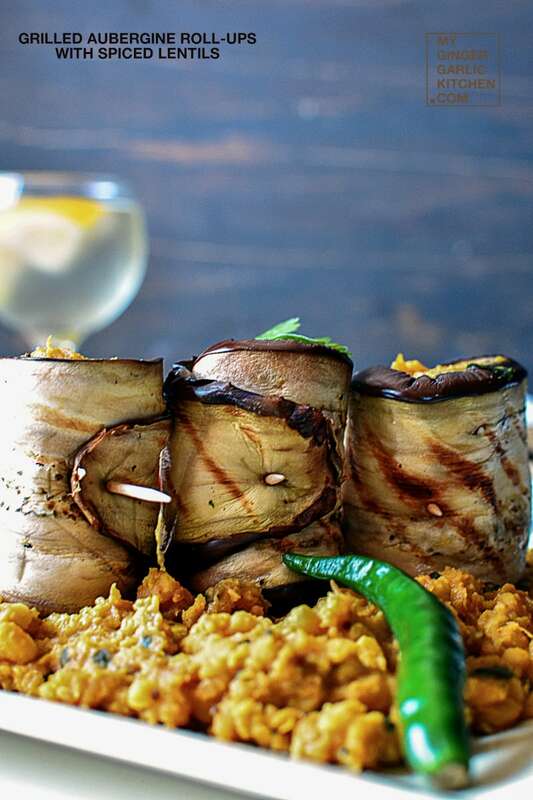 These are rolled up slices of perfectly grilled aubergine stuffed with a tasty mix of split bengal gram, which is cooked with tamarind paste and some spices. 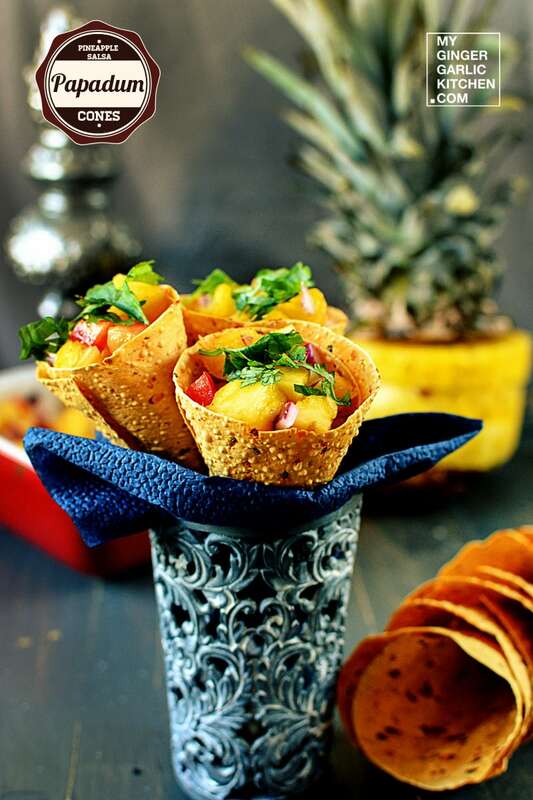 This super healthy food can be served as a snack, or as dinner, and can be accompanied with some rice or tortilla. 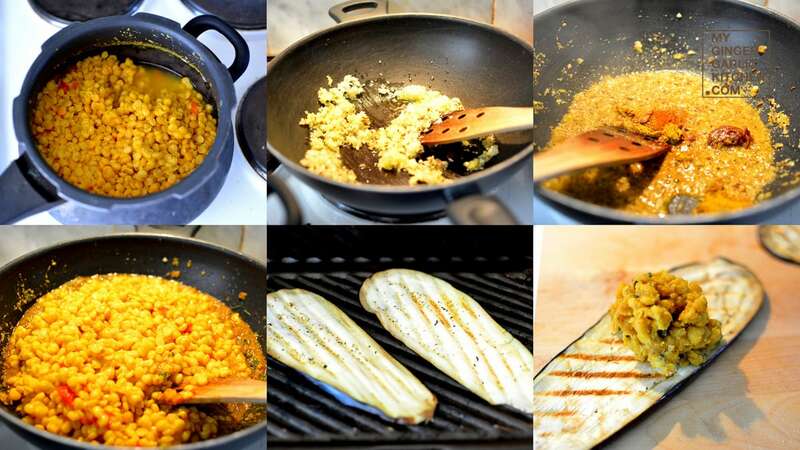 Let’s learn to make Grilled Aubergine Roll-Ups with Spiced Lentils in 7 easy to understand quick steps. Take a pressure cooker. 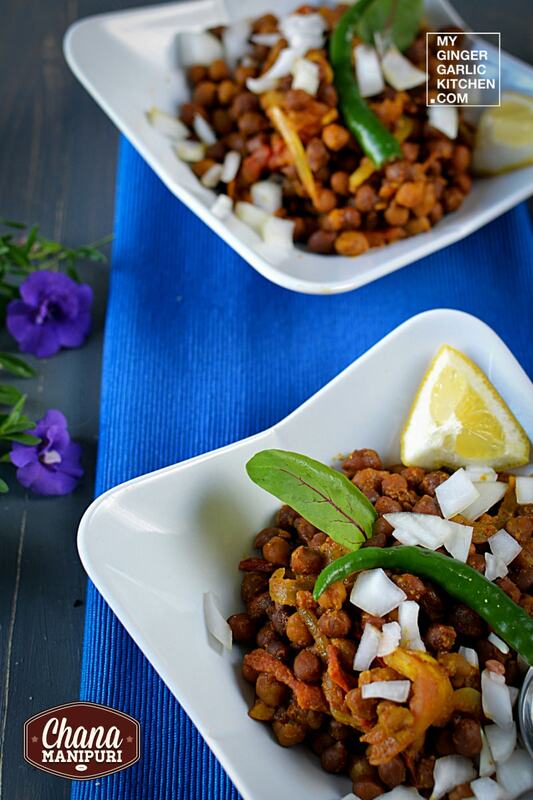 Add chana dal, with 2 cups of water, asafetida, chopped tomatoes, salt, and turmeric powder. Close the coverlid, and pressure cook for 6-7 whistles. Remove from heat, and let the pressure cooker cool down for a while till there is no pressure remaining. Drain extra water, if there is any ( don’t throw that, we will use it in sauce). Heat oil in a pan. Add cumin seeds, and mustard seeds to it. When the seeds start to splutter, add onion and ginger-garlic paste to it. Let it cook for 3-4 minutes. Now add red chili powder, coriander powder, and tamarind paste along with ⅛ cup of water. Let the spices cook for 3-4 minutes. Now add pressure-cooked chana dal and mix well. Add chopped coriander to it. Cook for 5 more minutes. Remove from heat. Heat a grill over high heat. Grill the aubergine slices in batches for 3 minutes each side. Allow to cool slightly. 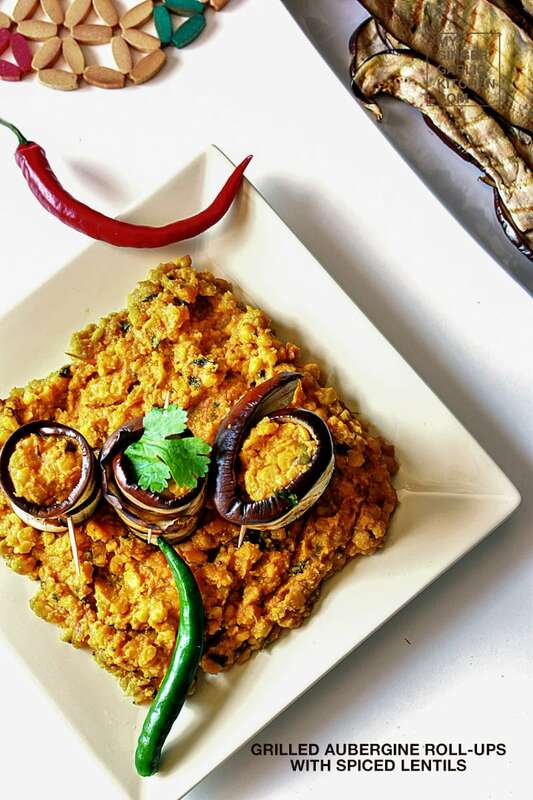 Spread a heaped tablespoon of the cooked lentils mixture evenly over each eggplant slice. Roll up the eggplant slices, and close with wooden cocktail sticks. 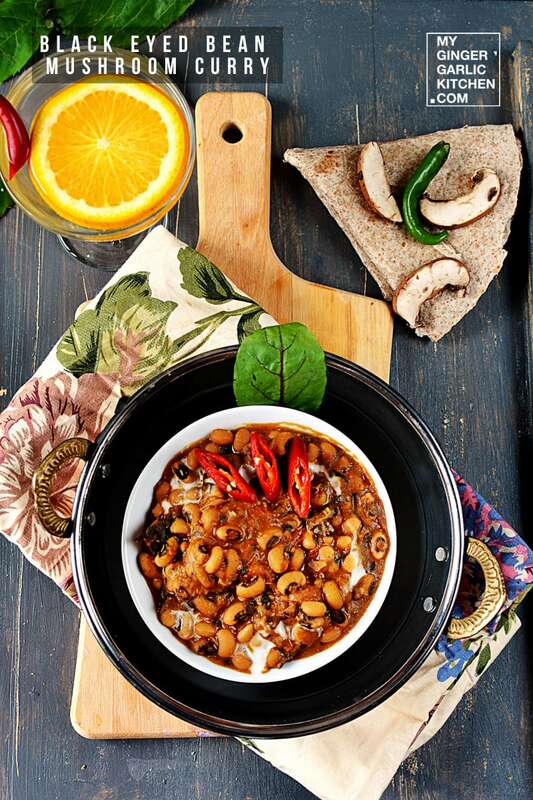 Arrange some cooked lentils on a serving plate. Top with grilled Aubergine Roll-Ups. Serve hot with steamed rice. Enjoy! 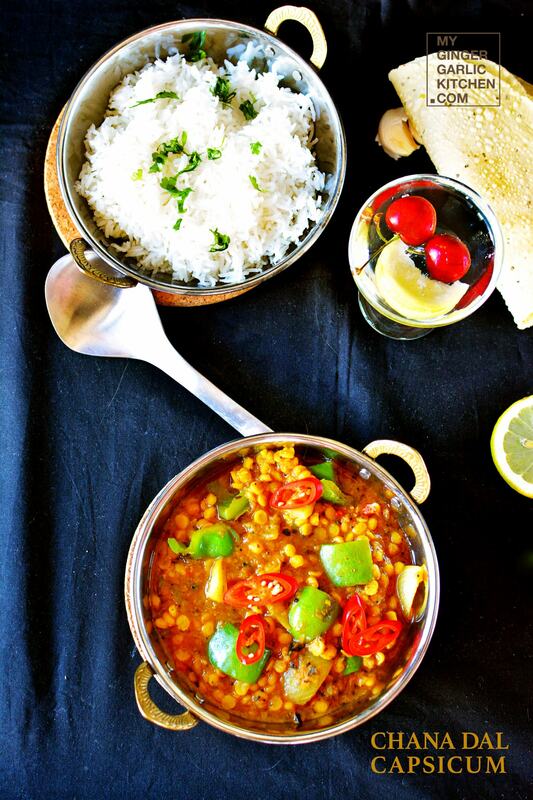 Props & Styling: Used some red and green chili for food styling, which is contrasting my yellow lentils dish. I also added some grilled aubergine, and lemon water to make my composition filler. Angle: I clicked these photos with 90°, 70°, 50°, 45°.